If you are looking for free info on how to write children's books, you have come to the right place. There are many things to consider if you are thinking about starting any kind of writing project, and writing a children's book is no different. Some people might think that the process for writing a children's book is somehow easier that writing a book for adults, but this could not be further from the truth. Children can differentiate between good work and bad work as well as adults can, so writing a successful children's book is as serious a project as writing a novel for adults. This article will provide you with some free info on how to write children's books that children will actually want to read. 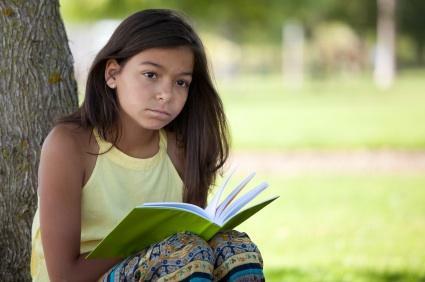 The following information covers the basic steps to writing successful children's books. Pick an Audience - First of all, you need to figure out what audience you are writing for. Do you see your writing as being oriented towards very young children or older children? The difference between a picture book and a novel written for fourth or fifth grade students is immense. You need to figure out what it is you want to write before you start. Visit a bookstore and zero in on the kinds of books that you see yourself being able to create and use those as an inspiration. Come Up With a Basic Story - Now that you know who you are writing for, you need to come up with a rough draft to get the project off the ground. Once you have the basics together, the most important thing you can do is share your ideas with people you trust. You need to see if your story moves and entertains people. Listen to suggestions, and refine your story accordingly. Find an Illustrator - If you are writing a book for children, you will most likely want to include images with your text. If you are an artist yourself, you will want to work on the images for your story as you work on the story itself. If you see yourself collaborating with another artist, you will want to include them in the process once you have a strong draft finished. Getting the images to work with the story is one of the most important parts of a successful children's book, so make sure you take this step seriously. Find a Publisher - Once you have a manuscript together, it is time to find a publisher. Visit a bookstore and make a list of the publishers who publish books that you like. Then get on the Internet and find contact information for those publishers and see what their submission procedures are. Submit and Be Patient - At this point, your work is in the hands of others. Once you send off your manuscript, you can only sit back and wait to see what happens. Be patient. This process can take time, and you should prepare yourself for numerous rejections. All writers experience rejection when they submit their work. All you can do when you receive a rejection is brush it off and send out another copy to another publisher. With persistence, you will eventually find someone who wants to publish your book! If you are interest is piqued now, you might be ready to dig deeper into your research and find some more in-depth information. The following books aren't free, but they are inexpensive and could help you immensely with your project. How to Write and Publish a Children's Book - This book covers all aspects of writing a kids books from developing characters to working with sensitive social topics like AIDS. The Business of Writing for Children - The Business of Writing for Children is a highly respected book in the field and is considered a must read for anyone who is considering writing a children's book. The Dummies Guide to Writing Children's Books for Money - Another installment from the widely popular Dummies series, this book contains all the necessary information you need and presents it in an easy to understand manner. Now that you have read some free info on how to write a children's book, it's time to get to work and start writing. Take your time and try to enjoy the process. If you love what you are doing, people will be able to sense it when they read your work and they'll be more likely to love it as well.